Watch FULL clinics, concerts, and master classes from PASIC! Learn from the best and be inspired! Browse over 900 archived videos from PASIC each year! Explore the web’s largest online collection of percussion videos! Watch videos based on your interests in percussion! Filter by categories based on session type. 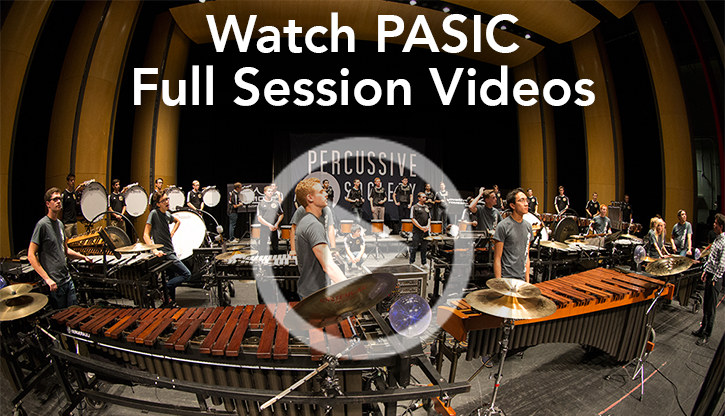 Full session videos mean you can relive all of your favorite moments from PASIC! Watch video highlights from PASIC on YouTube!